It's hard to replace the hands-on experience of searching for a good read. We love to meander around the children's section at bookstores and libraries, searching for new titles, paging through illustrations, and occasionally giving it a test read with the kids. 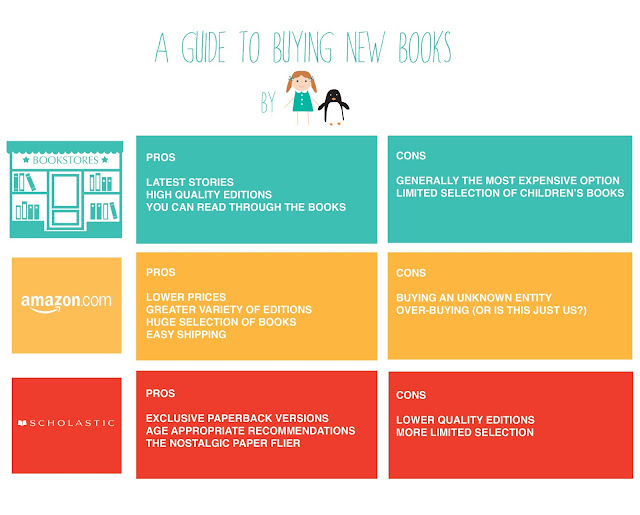 However, when it comes to buying, versus perusing books, we like to keep our options open. This week is the first installment in our series about building your own home library and we've created a handy guide showing three of our most used resources for buying new books.